The Congo Free State also known as the Independent State of the Congo was a large state in Central Africa from 1885 to 1908. It was ruled personally by Leopold II and not by the government of Belgium, of which he was the constitutional monarch. Leopold II was able to procure the region by convincing other Eurasian states at the Berlin Conference that he was involved in humanitarian and philanthropic work and would not tax trade. Via the International Association of the Congo, he was able to lay claim to most of the Congo basin. On 29 May 1885, i.e. 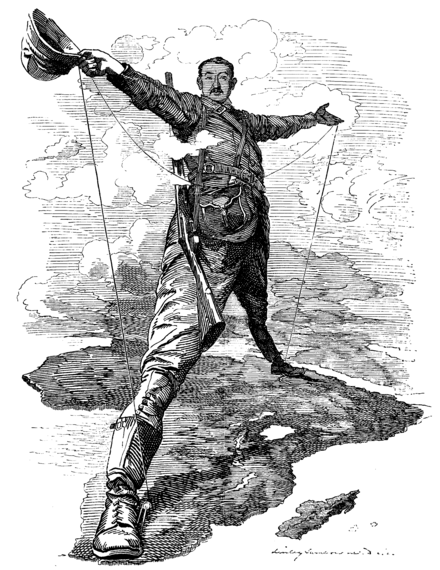 after the closure of the Berlin Conference, the king announced that he planned to name his possessions "the Congo Free State", an appellation which was not yet used at the Berlin Conference and which officially replaced "International Association of the Congo" on 1 August 1885. The Congo Free State operated as a corporate state privately controlled by Leopold II. 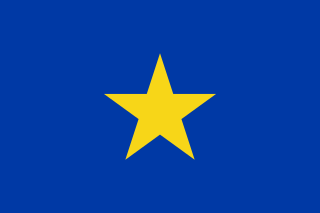 The state included the entire area of the present Democratic Republic of the Congo and existed from 1885 to 1908, when the government of Belgium reluctantly annexed the area. Major Edric Frederick Gifford, 3rd Baron Gifford, VC was an English recipient of the Victoria Cross, the highest and most prestigious award for gallantry in the face of the enemy that can be awarded to British and Commonwealth forces. 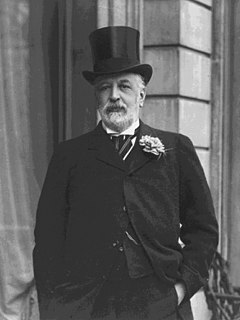 Nathaniel Mayer Rothschild, 1st Baron Rothschild, Baron de Rothschild, was a British Jewish banker and politician from the wealthy international Rothschild family. Clause 3 of the BSAC Charter allowed the company to obtain powers necessary for the preservation of public order in, or for the protection of, the territories comprised in its concessions, and Clause 10 allowed the company to establish and maintain a police force. This did not permit the formation of an army but BSAC created a paramilitary force of mounted infantrymen in 1889 which was virtually its army and which allowed it to defeat and replace the Matabele kingdom and then overcome resistance of the Shona north of the Limpopo river in the First Matabele War and Second Matabele War. It was the first British use of the Maxim gun in combat (causing five thousand Ndebele casualties). The company carved out and administered a territory which it named Zambezia, and later, Rhodesia, which now covers the area occupied by the republics of Zambia and Zimbabwe. Barotseland is a region between Namibia, Botswana, Zimbabwe, Zambia and Angola. It is the homeland of the Lozi people or Barotse, or Malozi, who are a unified group of over 20 individual formerly diverse tribes related through kinship, whose original branch are the Luyi (Maluyi), and also assimilated northern Sotho tribe of South Africa known as the Makololo. The Copperbelt strike of May 1935 was a strike by African mineworkers in the Copperbelt Province of Northern Rhodesia on 29 May 1935 to protest taxes levied by the British colonial administration. The strike involved three of the province's four major copper mines: those in Mufulira, Nkana and Roan Antelope. Near the latter, six protesters were killed by police and the strike ended. Although it failed, the strike was the first organized industrial agitation in Northern Rhodesia and is viewed by some as the first overt action against colonial rule. It caught the attention of a number of African townsmen, leading to the creation of trade unions and African nationalist politics, and is seen as the birth of African nationalism. The history of rail transport in Zambia began at the start of the twentieth century. John Harrison Clark or Changa-Changa effectively ruled much of what is today southern Zambia from the early 1890s to 1902. He arrived alone from South Africa in about 1887, reputedly as an outlaw, and assembled and trained a private army of Senga natives that he used to drive off various bands of slave-raiders. He took control of a swathe of territory on the north bank of the Zambezi river called Mashukulumbwe, became known as Chief "Changa-Changa" and, through a series of treaties with local chiefs, gained mineral and labour concessions covering much of the region. 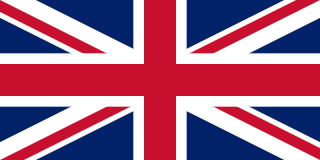 Barotziland-North-Western Rhodesia was a British protectorate in south central Africa formed in 1899. It encompassed North-Western Rhodesia and Barotseland. The Flag of the British South Africa Company was the flag used by the British South Africa Company (BSAC) and Rhodesia under company rule. It was adopted in 1892 and was used until 1923 when the south of Rhodesia voted to become Southern Rhodesia and the north was surrendered to the Colonial Office to become Northern Rhodesia. The flag remained as the Company's commercial flag until 1965. The flag consisted of a British Union Flag with the Company's logo of a lion and tusk on a white circle in the centre with "B.S.A.C." underneath it. 1 2 J S Galbraith, (1974). Crown and Charter: The early Years of the British South Africa Company, pp. 87, 202–3. 1 2 "Charter of the British South Africa Company". Archived from the original on 22 October 2013. Retrieved 10 May 2013. ↑ J S Galbraith, (1970). The British South Africa Company and the Jameson Raid, pp. 146–7. ↑ J S Galbraith, (1970). The British South Africa Company and the Jameson Raid, pp. 114, 116–7. ↑ P Slinn, (1971). Commercial Concessions and Politics during the Colonial Period: The Role of the British South Africa Company in Northern Rhodesia 1890–1964, pp. 145–6. ↑ P J S Galbraith, (1970). The British South Africa Company and the Jameson Raid, pp. 148–9. ↑ J S Galbraith, (1970). The British South Africa Company and the Jameson Raid, pp. 154–7. ↑ P Slinn, (1971). Commercial Concessions and Politics during the Colonial Period: The Role of the British South Africa Company in Northern Rhodesia 1890–1964, pp. 366, 371–2. ↑ P Slinn, (1971). Commercial Concessions and Politics during the Colonial Period: The Role of the British South Africa Company in Northern Rhodesia 1890–1964, pp. 370–2. ↑ P Slinn, (1971). Commercial Concessions and Politics during the Colonial Period: The Role of the British South Africa Company in Northern Rhodesia 1890–1964, pp. 367, 374. ↑ D N Beach, (1971). The Adendorff Trek in Shona History, pp. 30–2. ↑ J S Galbraith, (1974). Crown and Charter: The early Years of the British South Africa Company, pp. 101–3. ↑ J S Galbraith, (1974). Crown and Charter: The early Years of the British South Africa Company, pp. 211–5, 217–9. ↑ J S Galbraith, (1974). Crown and charter: The early Years of the British South Africa Company, pp. 222–3. ↑ G L Caplan, (1970). The Elites of Barotseland, 1878–1969: A Political History of Zambia's Western Province, pp. 65–7. ↑ G L Caplan, (1970). The Elites of Barotseland, 1878–1969: A Political History of Zambia's Western Province, pp. 75–6. 1 2 Andrew Field. "An Abbreviated History of the British South Africa Police" . Retrieved 13 Nov 2017. ↑ J S Galbraith, (1974). Crown and Charter: The early Years of the British South Africa Company, pp. 109–11, 116. 1 2 R.S. Roberts, (1974) Towards a History of Rhodesia's Armed Forces, Rhodesian History, vol. 5. ↑ J S Galbraith, (1974). Crown and Charter: The early Years of the British South Africa Company, pp. 97–8, 207, 230–3. ↑ M Newitt, (1995). A History of Mozambique, pp. 129, 137, 159–63. ↑ R Oliver and A Atmore, (1986). The African Middle Ages, 1400–1800, pp. 163–4, 191, 195. ↑ M Newitt, (1969). The Portuguese on the Zambezi: An Historical Interpretation of the Prazo system, pp. 67–8. ↑ M Newitt, (1995). A History of Mozambique, pp. 260, 274–5, 282, 287. ↑ M Newitt, (1969). The Portuguese on the Zambezi: An Historical Interpretation of the Prazo system, pp. 80–2. ↑ A Keppel-Jones (1983) Rhodes and Rhodesia: The White Conquest of Zimbabwe 1884–1902, pp 190–1. ↑ General Act of the Berlin Conference. ↑ M Newitt, (1995). A History of Mozambique, pp. 337–8, 344. ↑ M Newitt, (1995). A History of Mozambique, pp. 345–7. ↑ Teresa Pinto Coelho, (2006). Lord Salisbury's 1890 Ultimatum to Portugal and Anglo-Portuguese Relations, pp. 6–7. ↑ R I Rotberg, (1965). The Rise of Nationalism in Central Africa: The Making of Malawi and Zambia, 1873–1964, pp. 21–3. ↑ E A Walker, (1963). The Cambridge History of the British Empire: South Africa, Rhodesia and the High Commission Territories, pp. 682–4. ↑ J S Galbraith, (1974). Crown and Charter: The early Years of the British South Africa Company, pp. 277–81. ↑ J S Galbraith, (1974). Crown and Charter: The early Years of the British South Africa Company, pp. 319–21, 323. ↑ J S Galbraith, (1974). Crown and Charter: The early Years of the British South Africa Company, pp. 337–8. ↑ B N Floyd, (1962). Land Apportionment in Southern Rhodesia, pp. 573–4. ↑ J Gilbert, (2006). Indigenous Peoples' Land Rights Under International Law: From Victims to Actors, pp. 18–19. 1 2 Memorandum by the Colonial Secretary on Rhodesia, 19 April 1923. ↑ J Lunn, (1992). The Political Economy of Primary Railway Construction in the Rhodesias, 1890–1911, pp. 239, 244. 1 2 S Katzenellenbogen, (1974). Zambia and Rhodesia: Prisoners of the Past: A Note on the History of Railway Politics in Central Africa, pp. 63–4. ↑ S Katzenellenbogen, (1974). Zambia and Rhodesia: Prisoners of the Past: A Note on the History of Railway Politics in Central Africa, p. 64. ↑ S Katzenellenbogen, (1974). Zambia and Rhodesia: Prisoners of the Past: A Note on the History of Railway Politics in Central Africa, pp. 65–6. ↑ G. D. Clough, (1924). The Constitutional Changes in Northern Rhodesia and Matters Incidental to the Transition, p. 282. ↑ J Lunn, (1992). The Political Economy of Primary Railway Construction in the Rhodesias, 1890–1911, pp. 250, 252–4. ↑ Phimister, Ian (18 February 2015). "Late nineteenth-century globalization: London and Lomagundi perspectives on mining speculation in southern Africa, 1894–1904". Journal of Global History. 10 (1): 27–52. doi:10.1017/S1740022814000357. ↑ G. D. Clough, (1924). The Constitutional Changes in Northern Rhodesia and Matters Incidental to the Transition, Journal of Comparative Legislation and International Law, p. 282. ↑ A G Hopkins, (1976). Imperial Business in Africa. Part I: Sources, p.31. ↑ Government of Northern Rhodesia (Zambia). (1964). White Paper on British South Africa Company's claims to Mineral Royalties, pp. 1135, 1138. ↑ S Cunningham, (1981). The Copper Industry in Zambia: Foreign Mining Companies in a Developing Country, pp. 57–8. ↑ R W Steel, (1957) The Copperbelt of Northern Rhodesia, pp. 83–4. ↑ P Slinn, (1971). Commercial Concessions and Politics during the Colonial Period: The Role of the British South Africa Company in Northern Rhodesia 1890–1964, PP. 371–3. ↑ Government of Northern Rhodesia (Zambia), (1964). White Paper on British South Africa Company's claims to Mineral Royalties, pp. 1134–5. ↑ P Slinn, (1971). Commercial Concessions and Politics during the Colonial Period: The Role of the British South Africa Company in Northern Rhodesia 1890–1964, pp. 372–3. ↑ Government of Northern Rhodesia (Zambia), (1964). White Paper on British South Africa Company's claims to Mineral Royalties, pp. 1138–9. ↑ P Slinn, (1971). Commercial Concessions and Politics during the Colonial Period: The Role of the British South Africa Company in Northern Rhodesia 1890–1964, pp. 375–6. ↑ P Slinn, (1971). Commercial Concessions and Politics during the Colonial Period: The Role of the British South Africa Company in Northern Rhodesia 1890–1964, pp. 377–8. ↑ P Slinn, (1971). Commercial Concessions and Politics during the Colonial Period: The Role of the British South Africa Company in Northern Rhodesia 1890–1964, pp. 380–1. ↑ P Slinn, (1971). Commercial Concessions and Politics during the Colonial Period: The Role of the British South Africa Company in Northern Rhodesia 1890–1964, pp. 382–3. ↑ George Karekwaivenani, A History of the Rhodesian Stock Exchange, p.14 . ↑ T Lloyd, (1972). Africa and Hobson's Imperialism, p. 144. ↑ J S Galbraith, (1974). Crown and Charter: The early Years of the British South Africa Company, pp. 143–6, 149. ↑ J S Galbraith, (1974). Crown and Charter: The early Years of the British South Africa Company, pp. 262–3. ↑ L H Gann, (1958). The Birth of a Plural Society: The Development of Northern Rhodesia under the British South Africa Company, 1894–1914, pp. 67, 74–5, 106–7. ↑ J G Pike, (1969). Malawi: A Political and Economic History, pp. 87, 90–2. ↑ P E N Tindall, (1967). A History of Central Africa, Praeger p. 267. ↑ E A Walker, (1963). The Cambridge History of the British Empire: South Africa, Rhodesia and the High Commission Territories, pp. 682, 684–5. ↑ R. I. Rotberg, (1965). The Rise of Nationalism in Central Africa : The Making of Malawi and Zambia, 1873–1964, p. 26. ↑ G. D. Clough, (1924). The Constitutional Changes in Northern Rhodesia and Matters Incidental to the Transition, Journal of Comparative Legislation and International Law, Third Series, Vol. 6, No. 4 pp. 279–80. ↑ E A Walker, (1963). The Cambridge History of the British Empire: South Africa, Rhodesia and the High Commission Territories, p. 686. ↑ H. I Wetherell, (1979) Settler Expansionism in Central Africa: The Imperial Response of 1931 and Subsequent Implications, pp. 211–2. ↑ R Blake, (1977). A History of Rhodesia, p. 179. ↑ E A Walker, (1963). The Cambridge History of the British Empire: South Africa, Rhodesia and the High Commission Territories, pp. 690–1. ↑ G. D. Clough, (1924). The Constitutional Changes in Northern Rhodesia and Matters Incidental to the Transition, Journal of Comparative Legislation and International Law, Third Series, Vol. 6, No. 4 p. 281.